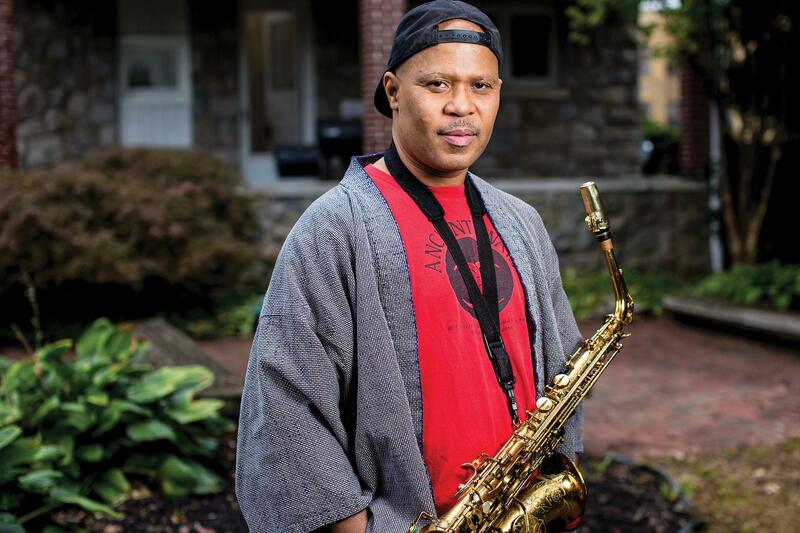 While struggling as an eager young alto saxophonist in New York during the mid-1980s, Steve Coleman stumbled upon an idea that seemed obvious but has proven revolutionary: Music should reflect the experiences of those who make it. Coleman's nascent philosophy, M-Base, has since become gospel for some of the world's foremost jazz players. For the ever-inquisitive Coleman, it has prompted daring albums that turn conceptual obsessions (mathematics, the African Diaspora, the body's joints) into some of our era's most sophisticated compositions and improvisations. The recent winner of MacArthur and Guggenheim fellowships, Coleman is, as The New York Times has noted, "one of the most rigorously conceptual thinkers in improvised music." In Durham, Coleman leads his newest and most immersive band yet, the drummerless octet Natal Eclipse. Years ago, when he was preparing to record the boxing-inspired album Morphogenesis, the drummer he had in mind didn't have the time. So Coleman rebuilt the pieces, shifting their surging sense of rhythm to the other instruments. With meticulous counterpoint and infinite elasticity, this music dashes and darts, bobs and weaves, lunges forward and pulls back, creating an athletic sense of drama in which every move feels like a surprise. These performances are rigorous and complex but strikingly accessible, a distinctive and welcoming musical world.